Detailed information on how to farm the item Heart Scale which can be exchanged for the Move Reminder’s Services in Pokemon Sun and Moon. Similar to the older games, farming the item Heart Scale from Luvdisc is recommended whenever the Services of the Move Reminder is required. Luvdisc can easily be encountered when fishing at the fishing spot located at the the southwest of Route 9. The recommended move for farming items held by wild Pokemon is Thief. Keep in mind that once the Pokemon with Thief successfully steals an item from the wild Pokemon, you will have to retrieve the item because it will not be able to steal another item when it is already holding an item. A recommended ability is Frisk which can easily alert you if the wild Luvdisc is holding a Heart Scale or not. Examples of Pokemons that has the ability Frisk and can use the move Thief are Exeggutor (Alola), and Phantump. 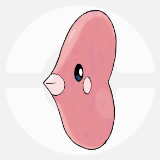 In addition to the ability Frisk, another Pokemon with the ability Compoundeyes is required when farming for Heart Scales as this increases the chance of finding a wild Pokemon when it is leading the party. Compoundeyes is similar to Synchronize, and the ability will be effective even if the Pokemon with the ability has fainted. This simplifies the process as the Pokemon with Frisk and Thief can be sent out immediately upon encounter instead of the need to switch during the first turn. Recommended Pokemon with this ability are Butterfree, etc. The fainted Pokemon with the ability Compoundeyes should be placed at the first slot of the party. The Pokemon with the move Thief and ability Frisk should be placed at the second slot of the party. Head to Route 3 or 9 and use the fishing rod at the fishing spot. If the wild Luvdisc is holding a Heart Scale, it will display the dialogue “<Pokemon> frisked Luvdisc and found its Heart Scale!”on screen. If the dialogue is shown, use Thief to obtain Heart Scale. Once you have obtained the item, go to the Party Screen and retrieve the item from the Pokemon with Thief. Repeat this process to obtain more.